The response from Bristol’s vegan and veggie community was incredibly positive which is why we wanted to come up with another vegan dumpling filling (leek & mushroom) and add a few more sides. TBH it’s more by accident than design, but the menu now seems to be predominantly vegan! Gyoza (pronounced ghee-yoza, say it fast) are Japanese dumplings made from wheat wrappers and tasty fillings, and dipped in a soy based dipping sauce. Once you have chosen your filling you can choose from our range of homemade sauces and toppings. If you’re extra hungry why not add a portion of dressed sushi rice & pickles! 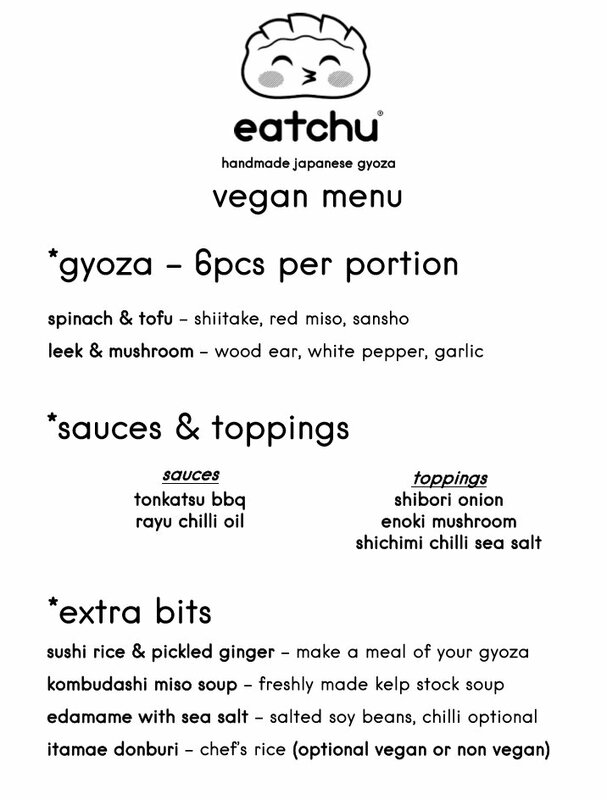 You can try our tasty gyoza every lunchtime from Monday to Saturday.